—Lumanu, a Milwaukee-based developer of marketing software that helps customers identify social media users to serve as “influencers” for their brands, was the subject of a Milwaukee Journal Sentinel profile. The startup, which was part of the most recent class to graduate from the Wisconsin-based accelerator Gener8tor, currently has five full-time employees. According to the report, Lumanu encourages users who advocate for products and businesses to disclose that they’re being paid to do so, but only above a certain threshold of compensation. —The Journal Sentinel also recently published an article that examined some of the innovative technologies being developed at GE Healthcare, a medtech company headquartered in Chicago but which designs and manufactures many of its devices in Wisconsin. —The Doyenne Group, a Madison-based organization that supports businesses led by women and people of color, announced a series of new programs, the Wisconsin State Journal reported. Doyenne, which was formed in 2012 and last August raised a $1.2 million fund to invest in startups, now has about 130 members, according to the newspaper. —Intellivisit raised $305,000 in equity funding from six investors, according to a document filed with federal securities regulators. The virtual health startup, which is based in the Milwaukee area, seeks to be the “digital front door” for sick patients wanting to report their symptoms to a hospital or clinic. Intellivisit, which was originally known as Elli Health, has raised more than $2 million since launching in 2013, SEC documents show. —More funding news: Dynamis Software raised another $750,000 from investors, bringing the company’s total funding haul to more than $3.3 million. Milwaukee-based Dynamis develops digital tools allowing users, many of whom are insurance brokers, to design health plans and present them to employers as part of the annual health insurance selection process. Andy Nunemaker, co-founder and CEO of Dynamis, says his company will use some of the proceeds from the latest funding round to expand its sales and service teams. —Xconomy took a closer look at a funding figure—the total amount raised by Milwaukee-area startups in 2016—that has generated buzz in the region’s early-stage business community. Several local and national news outlets reported that the total was more than $111 million, citing data from the website Crunchbase. However, some of the companies that contributed to the total are incorrectly listed on Crunchbase as being based in Wisconsin. Another estimate, from the National Venture Capital Association and PitchBook, pegs the Milwaukee area’s 2016 funding total at about $45 million. 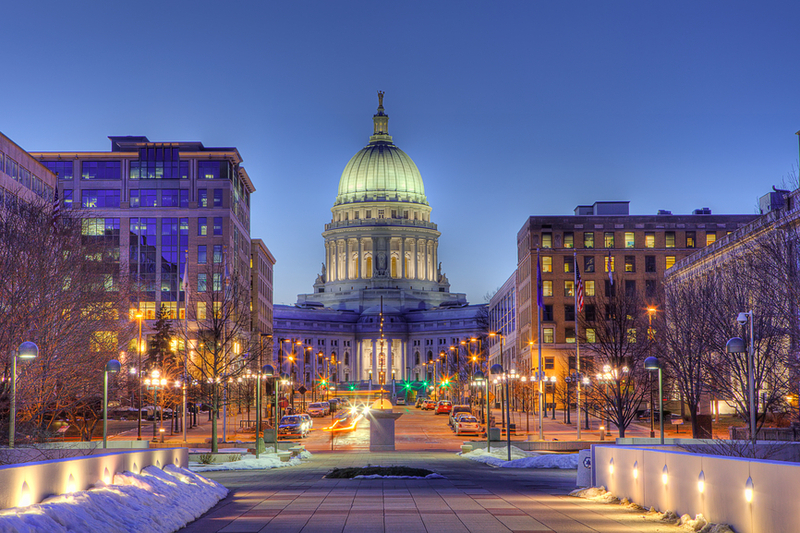 —StartingBlock Madison, a center for entrepreneurs that is currently being built in Wisconsin’s capital city, joined a program coordinated by the Washington, DC-based incubator and seed fund 1776 “that catalyzes innovation by connecting startup ecosystems together around the world.” StartingBlock was one of 20 organizations to join the program, which is known as UNION network, 1776 said in a press release. —The University of Wisconsin-Madison’s news service profiled ImageMoverMD, a Middleton-based startup that has developed software allowing healthcare providers and patients to securely transmit pictures and videos they’ve taken with their smartphones. The company was founded by Richard Bruce and Gary Wendt, both of whom are radiologists at UW Hospital and Clinics.